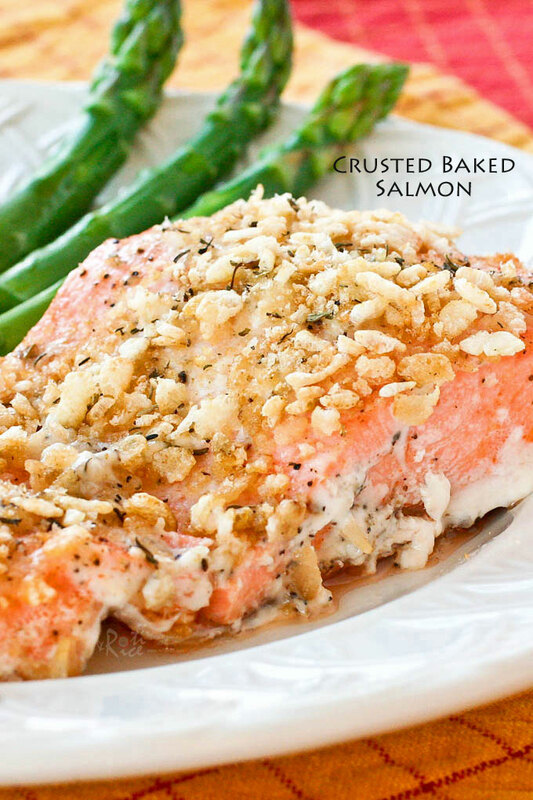 I know I have been posting quite a few salmon recipes lately but I promise you will love this one. It is moist, flavorful, and has a wonderful gluten-free crust on the top. 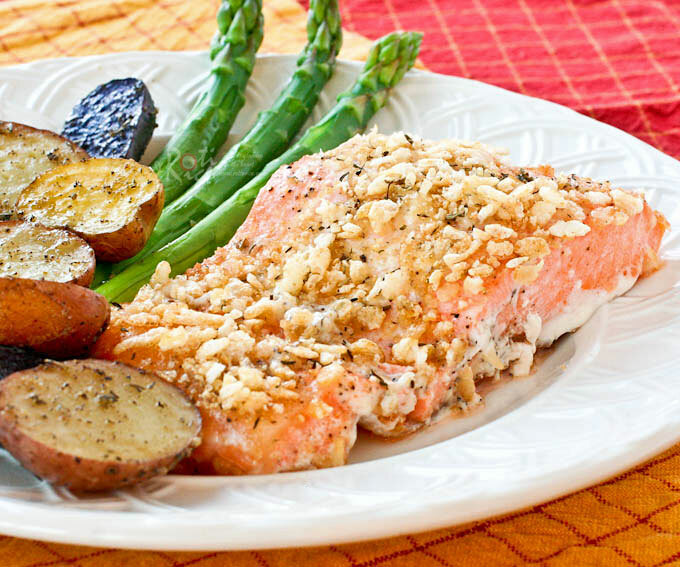 Best of all, this crusted baked salmon takes only 30 minutes to prepare and that includes the Roasted Fingerling Potatoes in my previous post. You’ve gotta love that, especially on a busy week night! I also made a side of blanched asparagus which took just a few minutes to put together. Alternatively, you can toss a salad. 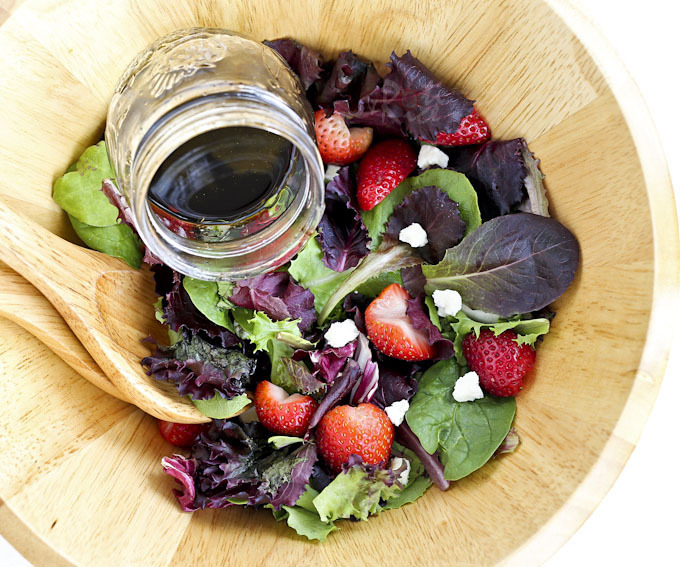 With the abundance of strawberries appearing at the grocery stores right now, this Spring Greens, Strawberry, and Feta Salad would also work splendidly to complete the meal. Bon appétit! Rinse and pat dry salmon with paper towels. Place on lined baking tray. Drizzle lemon juice over the top then sprinkle with salt and pepper. Spread a teaspoon of vegenaise/mayonnaise onto each slab of salmon. Press crushed rice puffs on the top to form a crust. Bake in a 375°F (190°C) oven for 20 minutes. Remove and serve immediately with roasted fingerling potatoes and a salad or steamed vegetables. 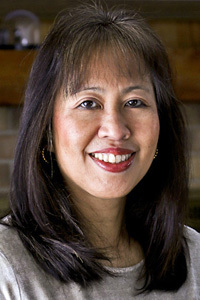 Thanks Ramona! Yes, the crushed rice cereals did give the fish a nice contrast of textures. I love salmon but don’t eat it often, too expensive lol! I love those potatoes, tried them with normal potatoes and they turned out good! I would imagine that salmon would be expensive in Malaysia but you do have so many other choices there. Over here, it is one of the more reasonably priced fishes and easily available kind of fish around. I have used it in all kinds of dishes. 🙂 Glad you tried out those potatoes. They are really good. Cooked the salmon exactly the way you’d detailed – used mayo and rice crispies. I needed a quick way to cook the fish after the swimming lessons. Served the fish with plenty of steamed vegetables. Delicious and a lovely texture which the kids like.